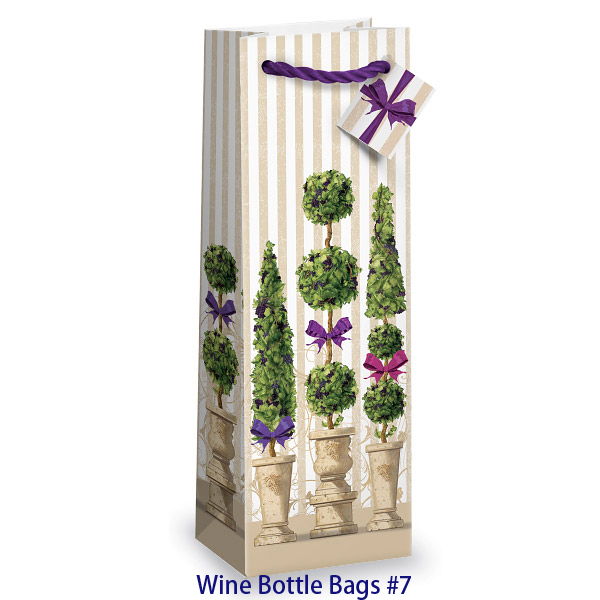 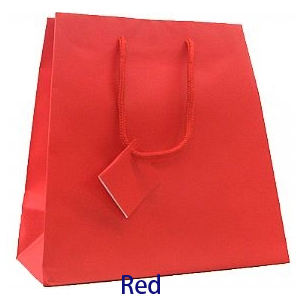 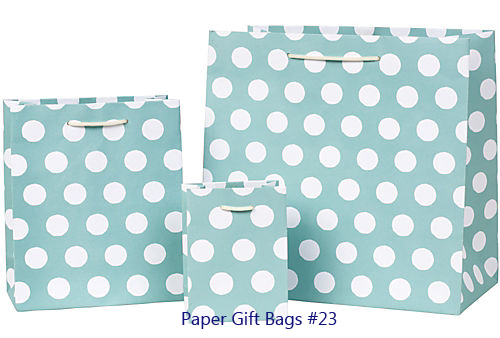 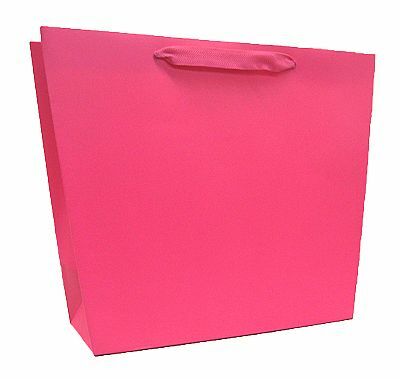 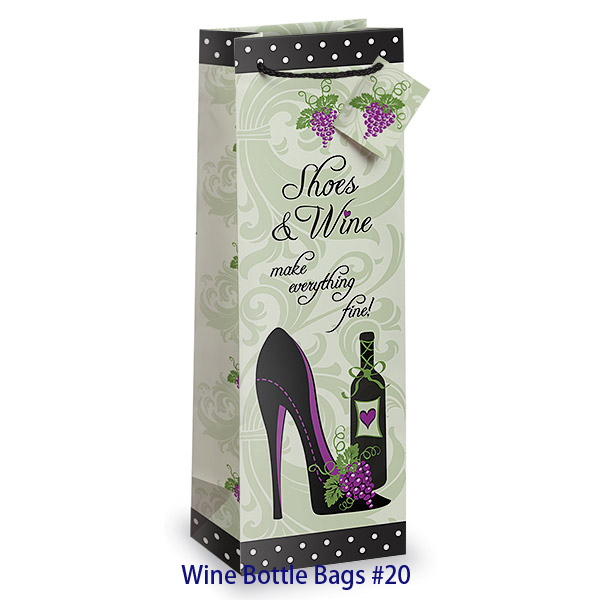 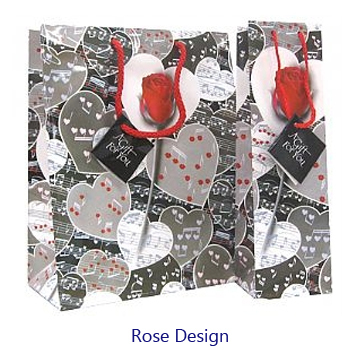 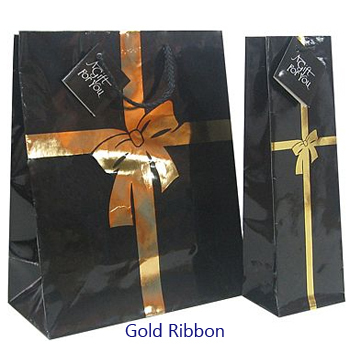 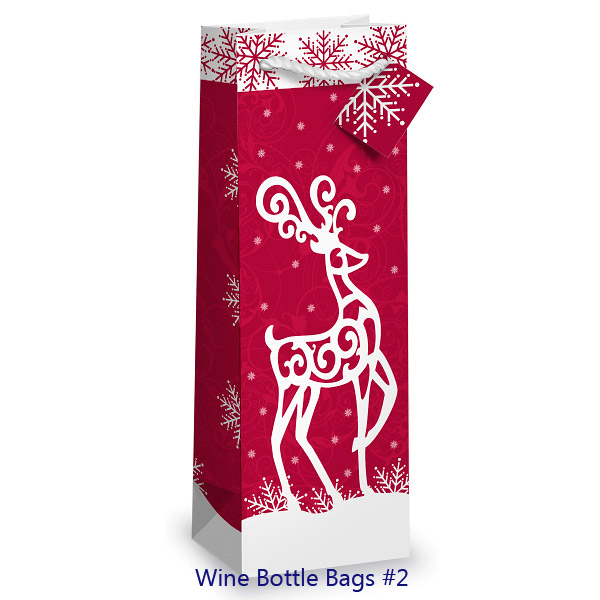 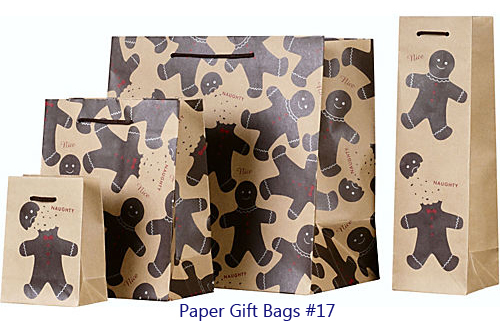 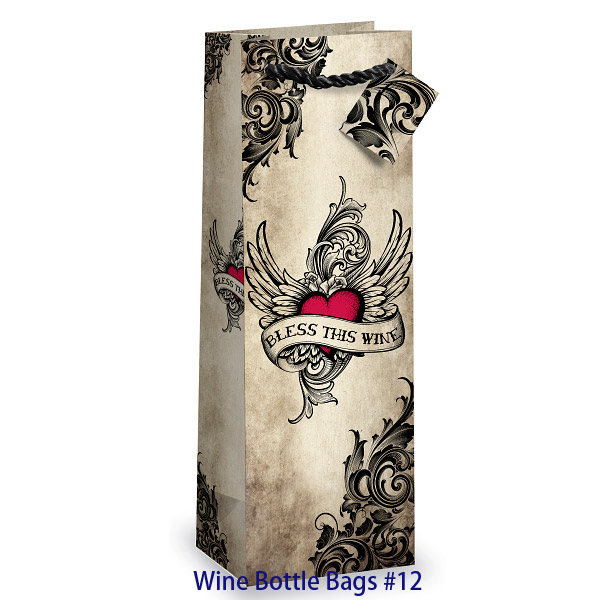 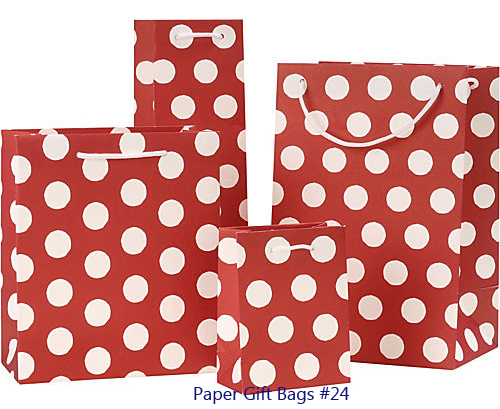 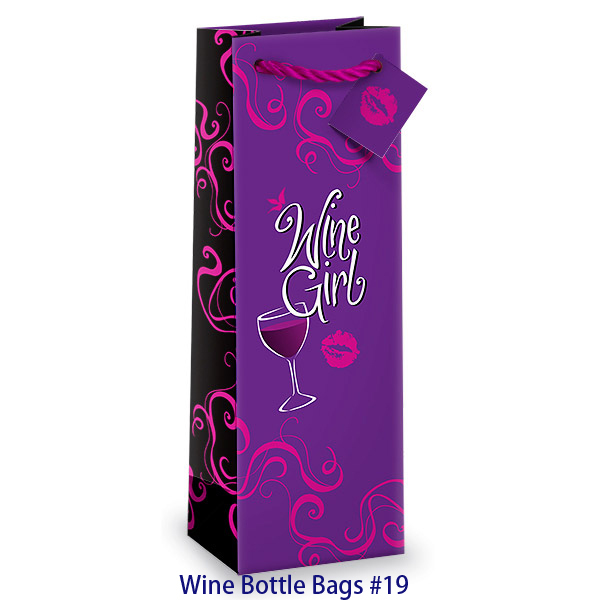 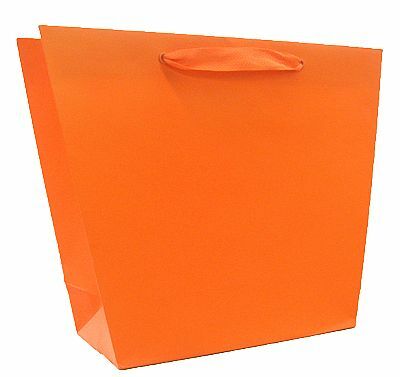 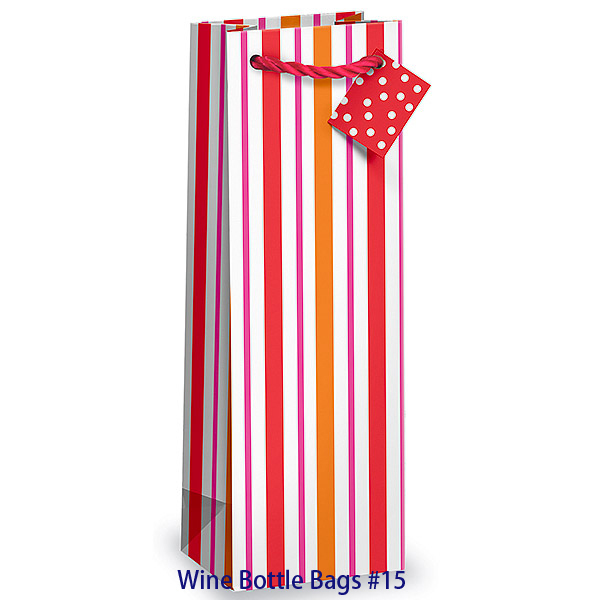 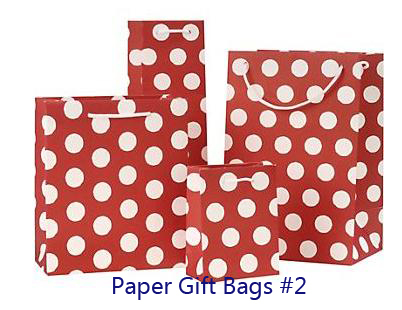 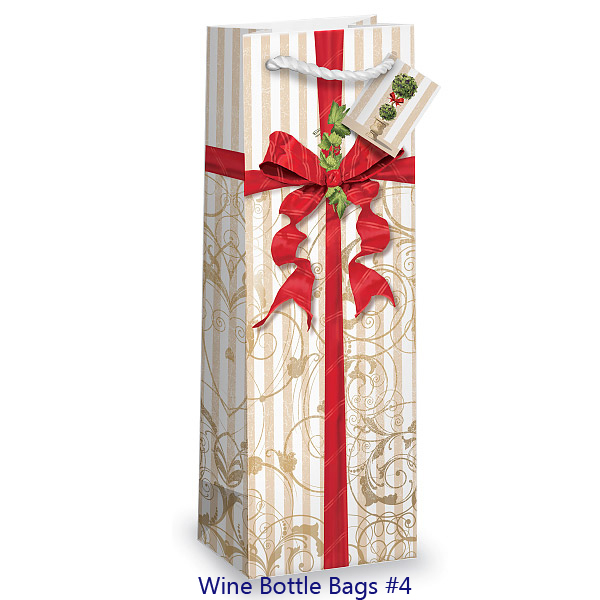 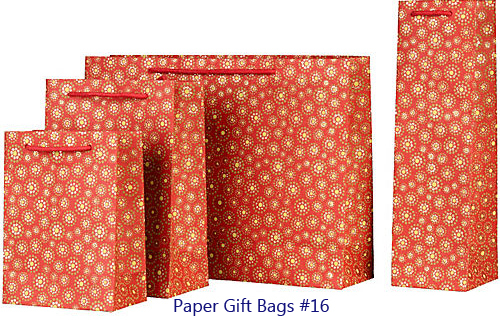 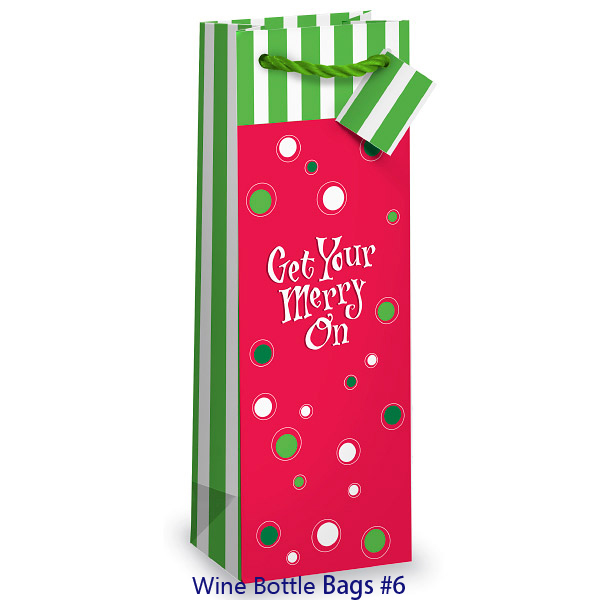 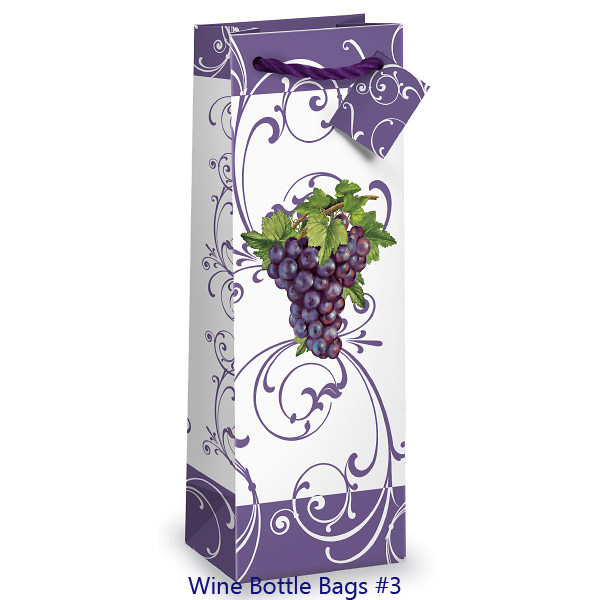 Paper bags are perfect choice as gift bags to package anything.Because paper bags are not only versatile to cover different cost range,but also have the best printing effect to display different themes for events and occasion.At 4GiftPack these paper gift bags avail in any size,color,shape and design at great cheap pricing. 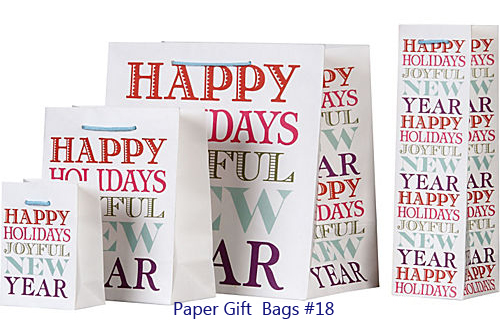 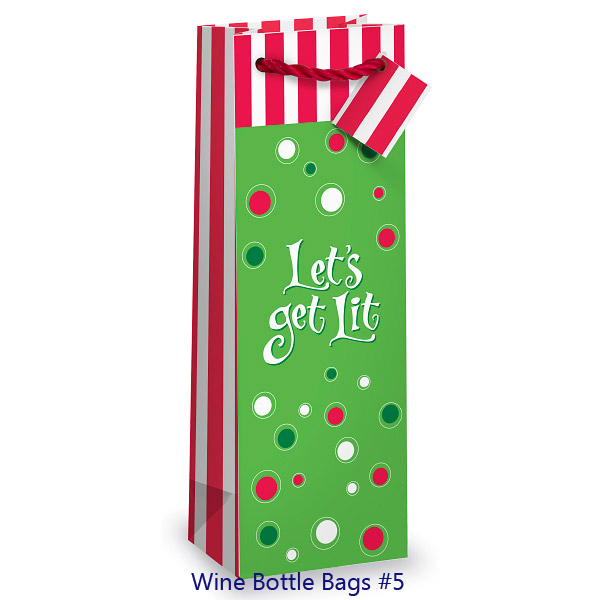 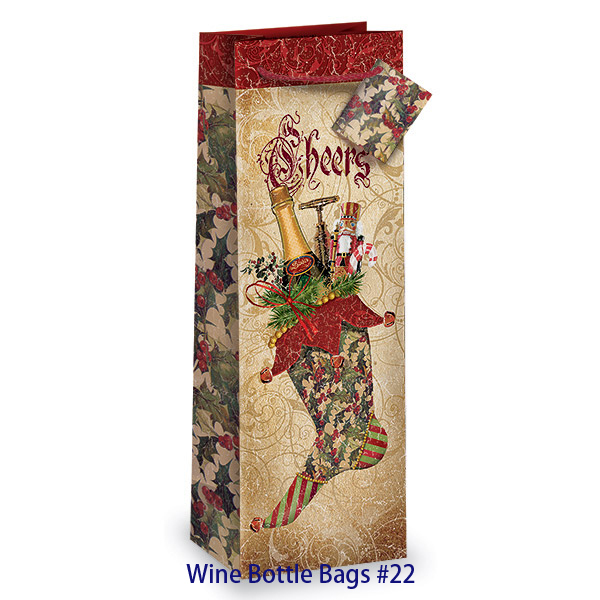 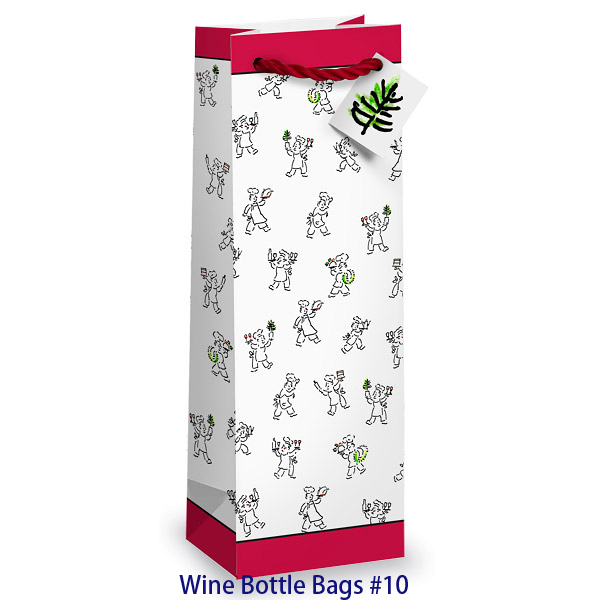 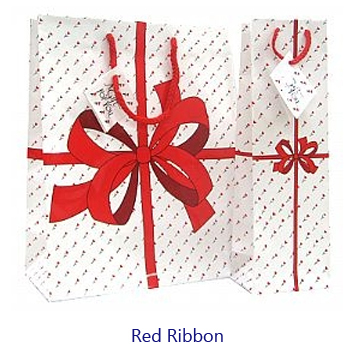 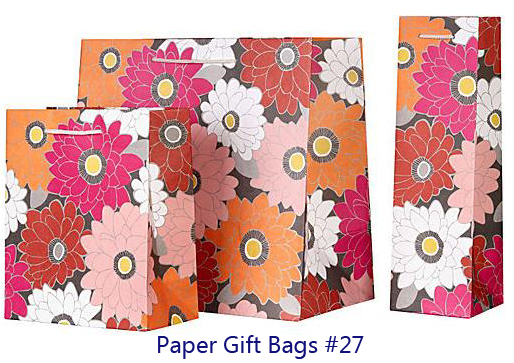 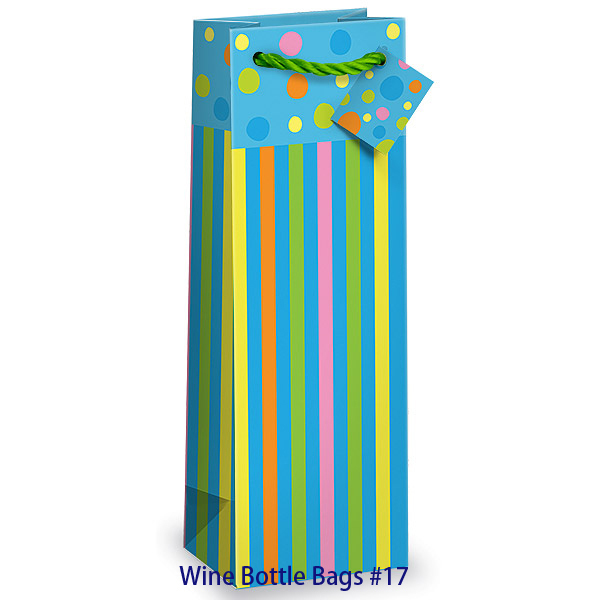 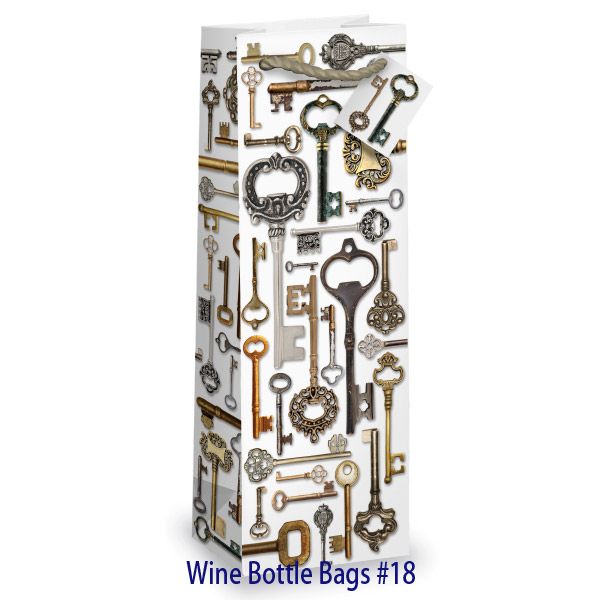 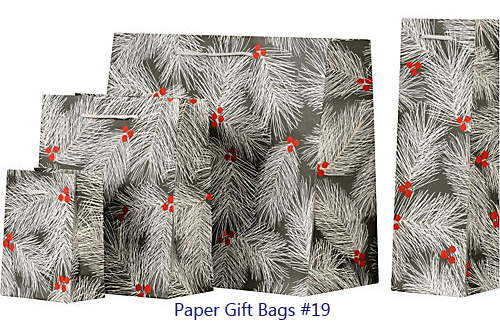 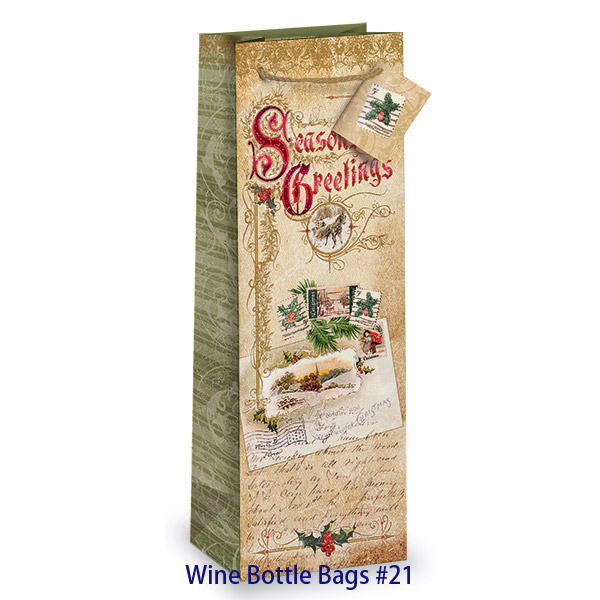 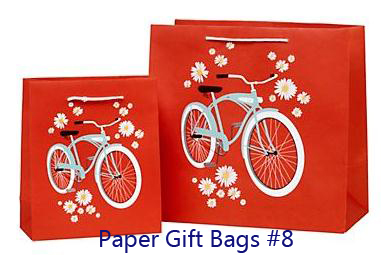 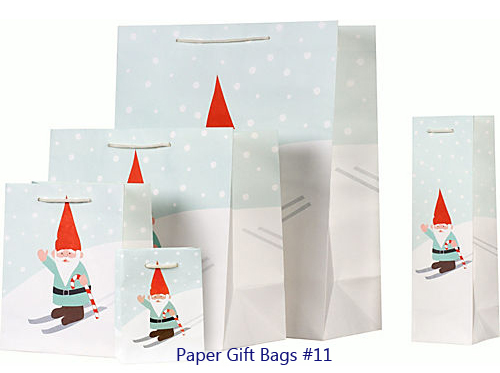 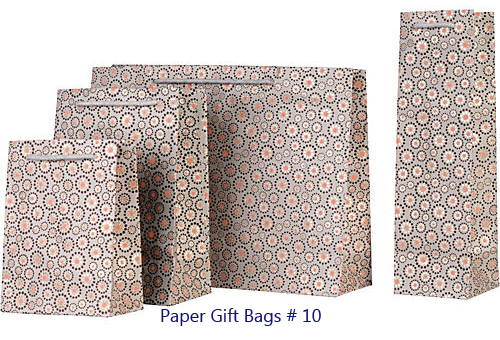 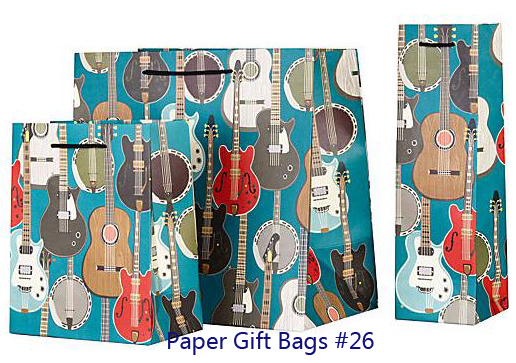 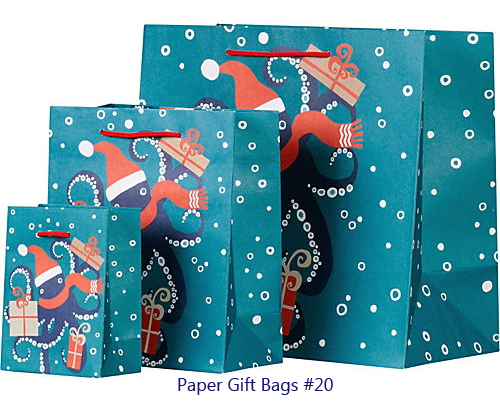 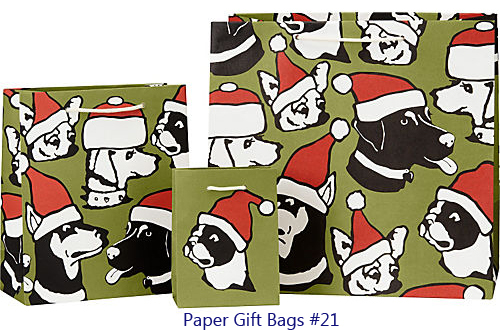 These paper gift bags are made of 170g art paper,matt lamination with colored PP rope,coming in 6 size and 25 design themes.Custom Logo can be printed on bags by hot stamping--foil are avialable many colors. 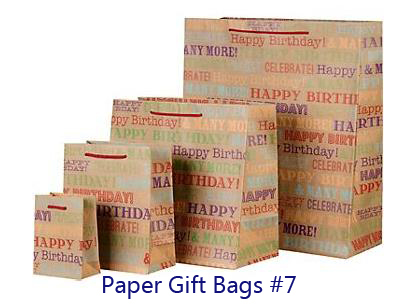 size 1) 5 1/2 x 3 x 8 2) 8 x 4 x 10" 3) 10 x 4 x 13" 4) 16 x 6 x 12" 5) 16 x6 x19" 6) 4 1/4 x 3 3/4 x 13"
size 1) 3 x 2 x 3 1/2" 2) 5 x 3 x 6 1/2" 3) 7 x 3 1/2 x 9" 4) 3 x 2 1/2 x 9 3/4"
These paper gift bags are made of 157g art paper with matt lamination, die cut handle,with solid color printing,coming in 4 size and 6 colors. 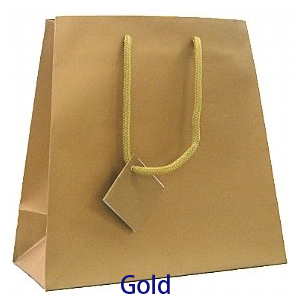 Custom logo can be hot stamping on paper bags--foil are available in many colors. 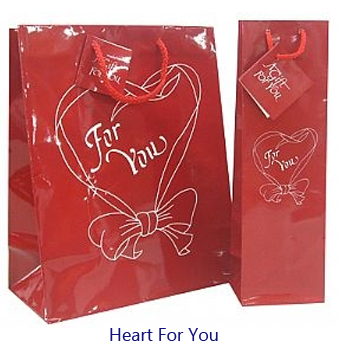 size 1) 140x80x180mm( 5 5/8 x 3 2/4 x 7 1/4") 2) 200 x 100 x 260 mm(8 x 4 x 10 1/4"
There paper gift bags are made of 157g art paper, with matt lamination, coming in trapezoid shape, 3 size and 5 colours.Custom Logo can be printed on bags by hot stamping---foil are available in many colors. 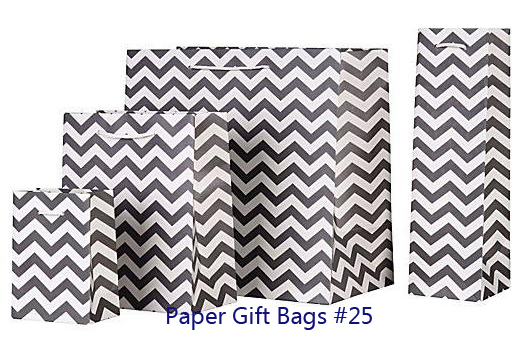 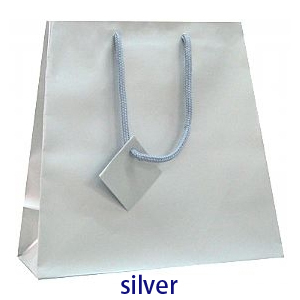 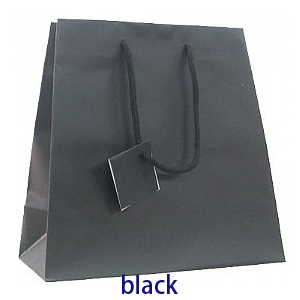 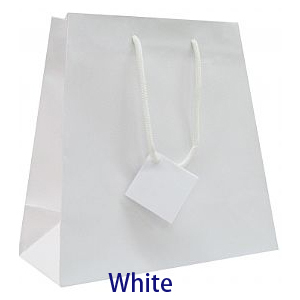 color: white,black,gold,silver,red size 1) 7 --- 8 3/4 x 4 x 8 1/2" 2) 7 3/4--11 3/4 x 4 3/4 x 9" 3) 11--16 x 6 x 12"
Those soild colored paper gift bags come in trapezoid shape,with ribbon handle,coming in 8 colors and 2 sizes.Custom logo can be hot stampimng on bags. 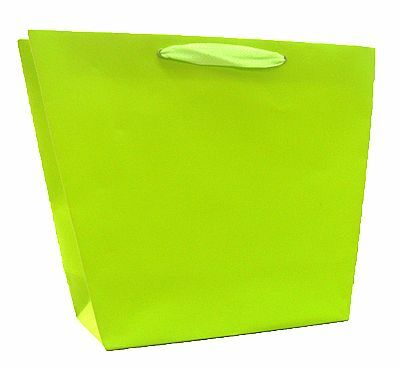 size 1) 13/9 x 4 x 10" 2) 20/16 x 6 x 12"
4GiftPack also provide custom made paper bags that are made by customer's specification to meet the need of promoting business brands and carrying goods.Choose from paper(art paper or ivory paper), printing (CMYK color or Pantone color)., finishes(hot stamping,embossing,uv spot varnish),handle(pp handle,cotton handle,die cutting handle,ribbon handle) to build the right paper bags to present business the best. 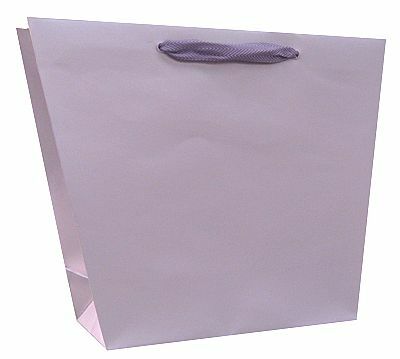 Laminated paper bags look more elegant so laminated paper bags are choosen as luxury paper bags to promote business brands.4GiftPack design and manufacture not only paper gift bags, but also custom laminated paper bags--custom made paper bags--that are produced by customer's specification. 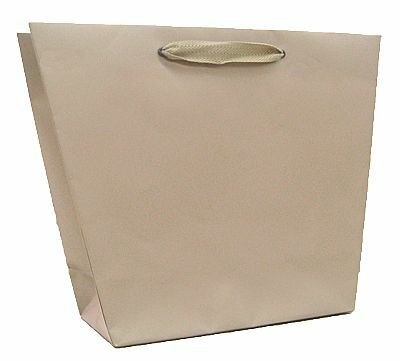 Laminated paper bags avail huge selection of handle and finishes process to build wide variety of custom paper bags cobering any budget. 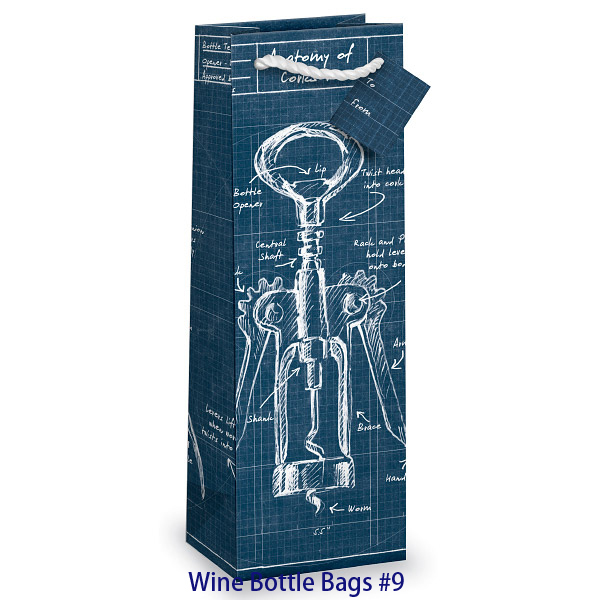 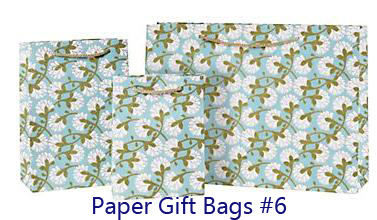 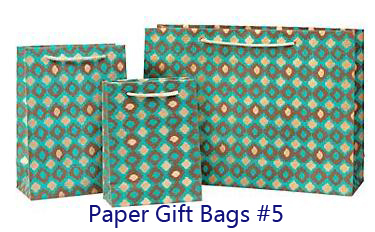 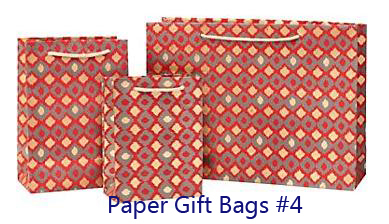 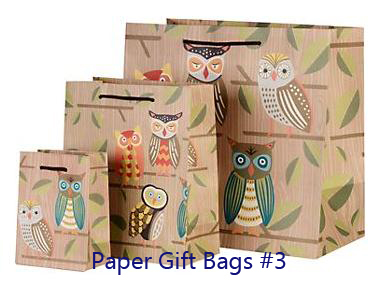 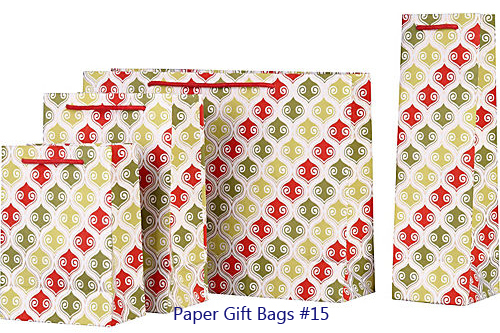 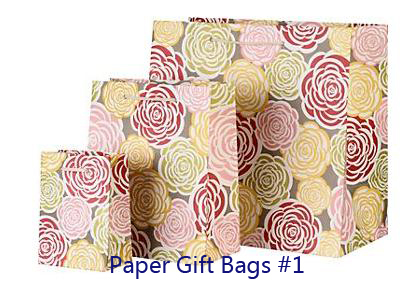 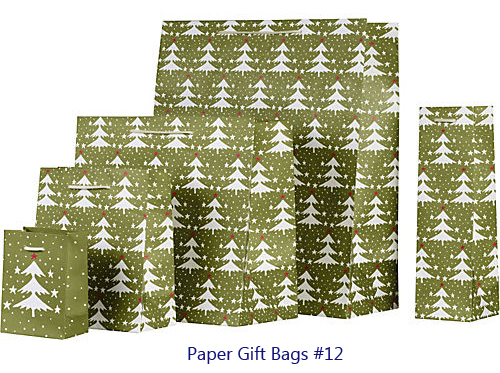 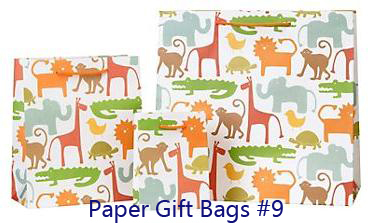 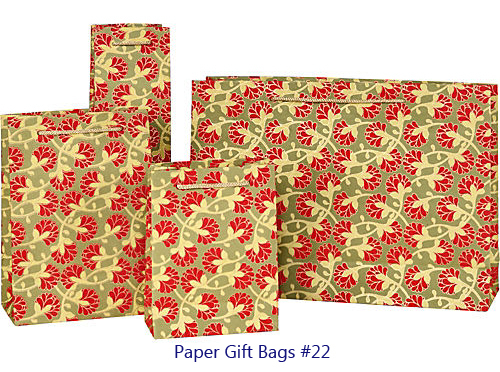 How to create or build cusotm made paper bag?select hugh items from paper,printing,handle,finsihes and handle to build a right paper bags within your budget. 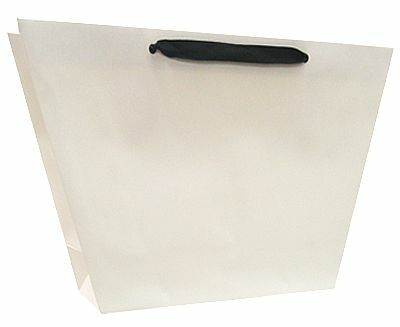 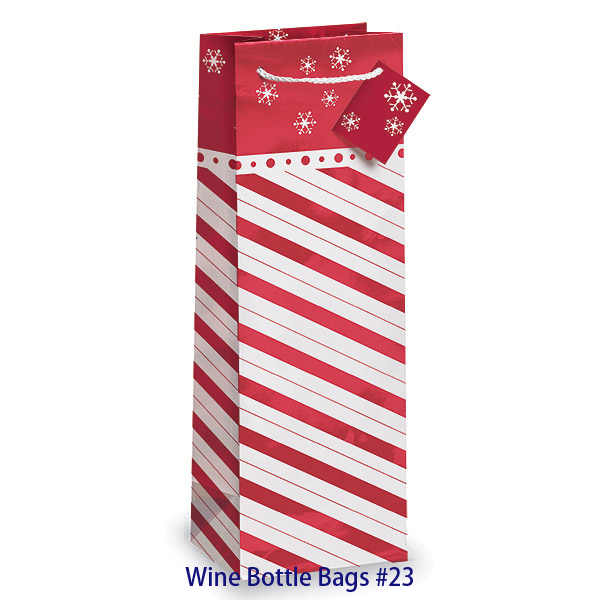 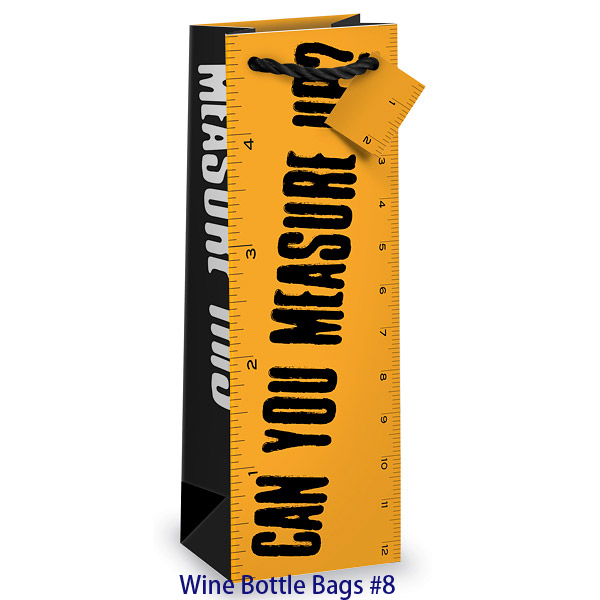 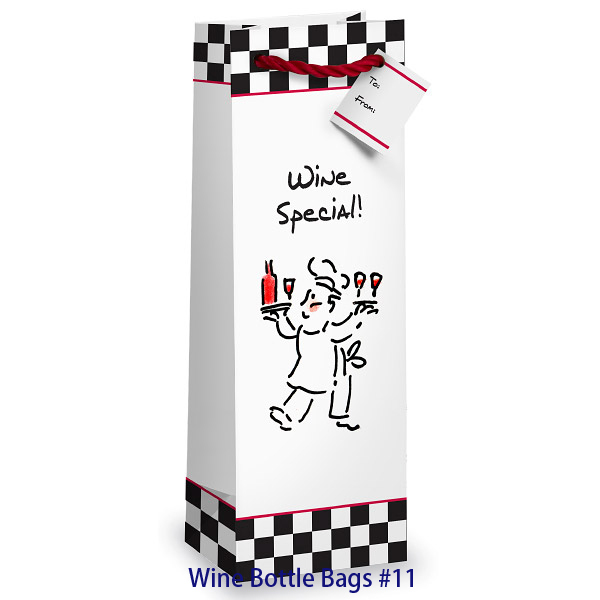 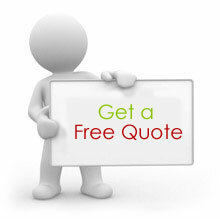 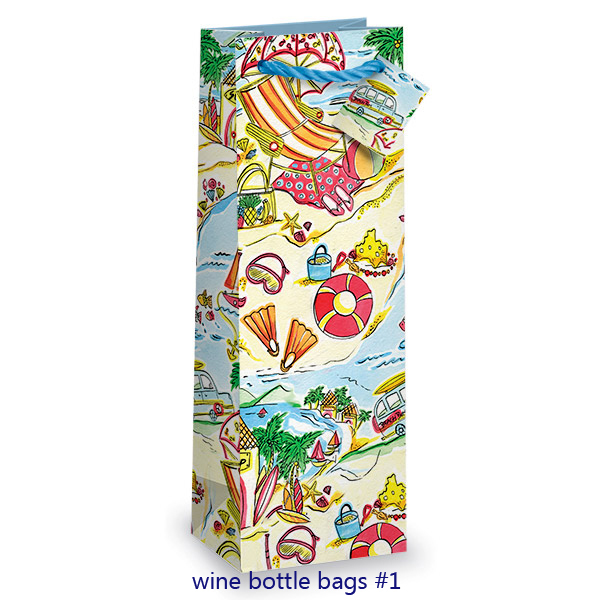 Contact with us to create your paper bags to present your business the best.